When refugees from Roman cities fled repeated waves of Germanic invasions in the fifth and sixth centuries, they built the settlement which became Venice on a group of 120 islands in a lagoon in the Adriatic Sea. With a complex network of canals separating the islands of Venice, boats are and always have been a key part of everyday life. In addition to transportation of people, boats are heavily used throughout the city for cargo moving, emergency services, and most any other function accomplished by wheeled vehicles in drier cities. Because most major points in the lagoon are accessible by boat, the canals usually offer a more direct and more efficient route than the maze-like streets. The boat most closely associated with Venice is the gondola. A traditional flat-bottomed rowboat, the gondola was well suited to the often shallow Venetian canals. For centuries, gondolas and other small boats served as the main transportation in Venice. Since the late 19th century, gondolas have been more symbolic and less important as a means of transportation. 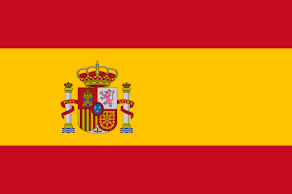 Today they are used almost entirely for tourist excursions. A ride in an iconic Venetian gondola is offered for the princely sum of $112 for 25 minutes by day ($140 at night), plus an additional charge if you would like to be serenaded. O mamma mio! We passed on the gondola and went with the budget alternative, a traghetto. Retired gondolas which have been stripped of their decorations and restored to their humble rowboat beginnings, traghettos are part of the public transportation system. For 50 cents Euro (70 cents U.S.), you can ride across the Grand Canal in a traghetto. Seven traghetto stops are located strategically along the Grand Canal at places where no bridge is available. 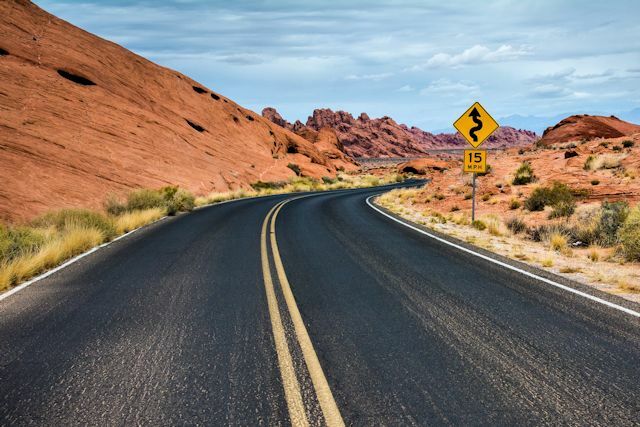 Locals usually stand for the brief crossing, though tourists who are not so sure-footed may sit. 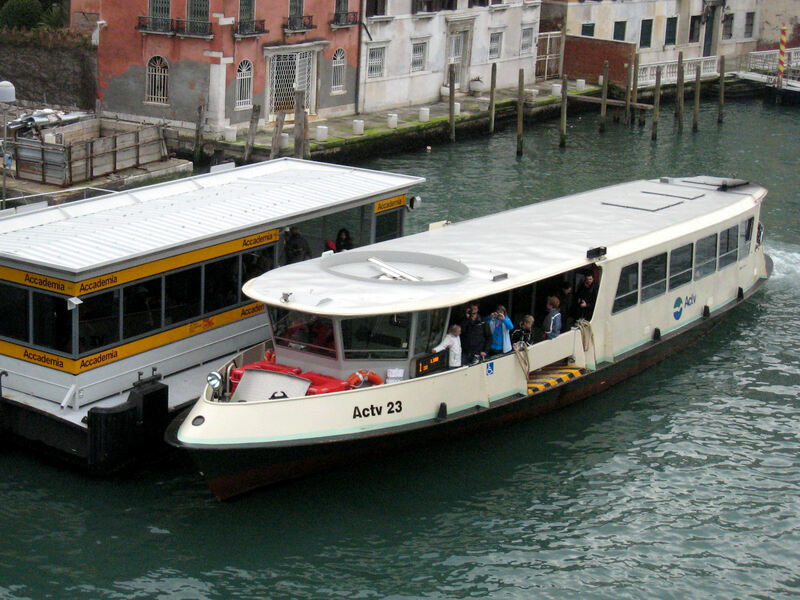 Mass public transportation in Venice today is provided by the city's vaporetto system. The vaporetto, a motorized water bus was cheaper and faster than gondolas, began replacing the traditional boats for mass transit in the 1880s. Vaporetti have regular routes and stops like other forms of public transit. They are the most economic and efficient form of water transport in Venice. Of course, taxis in Venice operate on the water also. Like in any city, a taxi is considerably more expensive than public transportation. 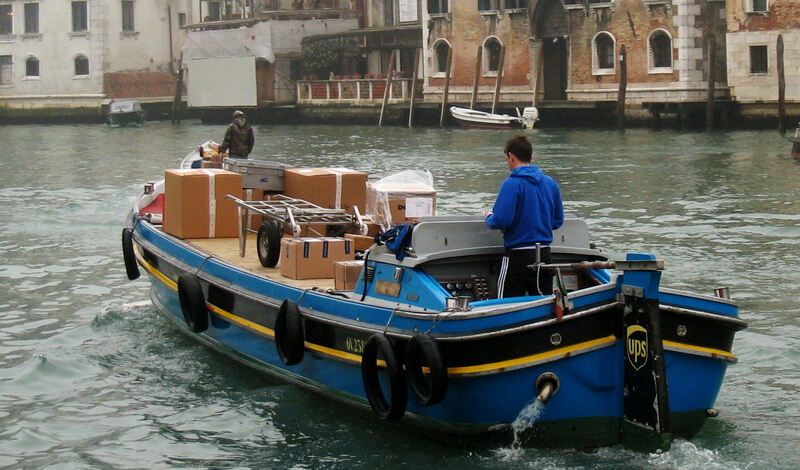 All manner of goods are transported in Venice by boat. When they reach the nearest dock to their location, the boat's driver and assistant haul the cargo through the streets on hand trucks. We were amazed at the size of the loads they could carry by hand. In just a few days, we observed numerous other types of boats operating on Venetian canals, proving that water craft can be adapted to most any use. And yes, there are hearse boats, ﻿garbage collection boats, mail boats, barges carrying construction cranes, and even a few private boats though few Venetians have their own boats. With dock space at a premium, the maintenance costs, and all these vessels trolling the city's waterways, there's not much motivation to be the owner of a private boat.